The listing: 38 Geoffrey St. Listing agent: Phil Beecher, Right at Home Realty Inc. 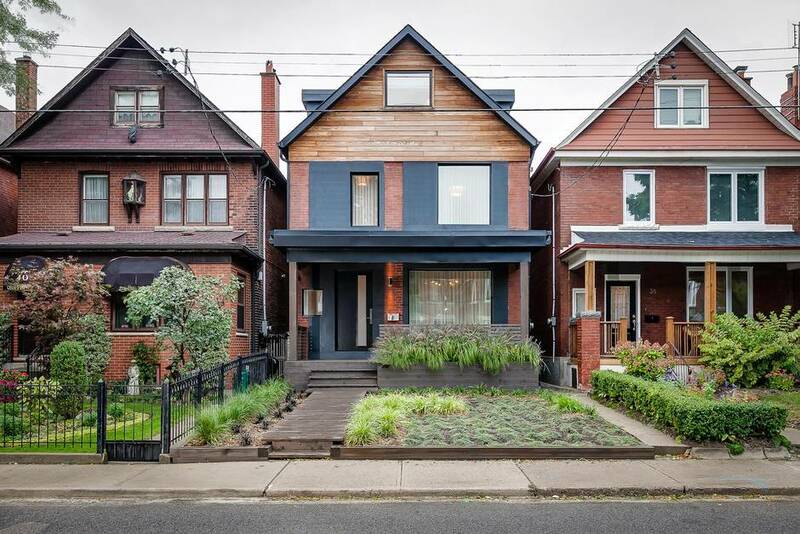 In the busy spring real estate market of 2014, Phil Beecher figured lots of potential buyers would be vying for a sturdy Edwardian in Roncesvalles Village. The house, which had remained in the same family for about 40 years, was dated and ready for a transformation. Its position on Geoffrey Street placed it approximately halfway between the buzzing Roncesvalles Avenue to the west and popular Sorauren Park to the east. Mr. Beecher, a real estate agent with Right at Home Realty Inc., bought the house with a bully offer soon after it arrived on the market. Mr. Beecher saw an opportunity to turn the two-storey, red-brick dwelling into a more modern family home. In decades past, the streets east of Roncesvalles in Parkdale have been home to many Polish immigrants, but the area gradually changed and drew a more diverse crowd. The neighbourhood’s artistic vibe and relatively affordable houses attracted people in the media and creative fields over the years. The cafés, galleries and antique stores of Queen Street West are a short walk away and several streetcar routes pass nearby. In recent years, Roncesvalles has seen many of its Old World delicatessens and bakeries replaced by some of Toronto’s hottest restaurants. Real estate values have also risen by eye-popping amounts, with a handful of properties recently changing hands above the $2-million mark. Three of the original exterior walls remain at 38 Geoffrey St., but the rear wall was torn down and the house extended by 20 feet. Mr. Beecher also received planning approvals to raise the height to three stories at the rear. The four-bedroom house now provides 3,600 square feet of living space. Mr. Beecher’s friends in the design industry, including Chris Koroknay of Studio CK, provided advice on creating a modern interior. The exterior has been updated with new materials, but the gabled roof and front porch blend in with the streetscape, Mr. Beecher points out. The addition at the rear is mostly hidden. Inside, the main floor has been completely opened up to create a combined space for cooking, lounging and dining. A wall of sliding doors and windows opens up the rear of the house to a large wooden deck. The living room has a modern, gas fireplace built into the wall. Alcoves provide a place for art or a flat-screen television. The dining area has a built-in bench surrounded by cabinets. The kitchen, with a large, white Caesarstone island built for entertaining, has an induction cooktop. The technology is good for families with children, Mr. Beecher says, because it uses an electromagnetic field of energy. That way, little hands can’t be accidentally burned by a hot stovetop. Mr. Beecher figures the house will appeal to parents with young children or a couple of young professionals who plan to have kids in the future. Mr. Beecher adds that young professionals want a house that’s as low-maintenance as possible so that they can be off doing other things. He knows an entrepreneur, for example, who values high-tech gadgets throughout the house. A glass, steel and wood staircase brings light from a skylight on the roof to all of the levels below. A powder room is set half a floor below the main level so that it’s out of the flow of entertaining. Upstairs, a large bedroom with an ensuite bathroom and a wall of windows overlooks the backyard. There are two more bedrooms on that floor, a laundry room and another full bathroom. The third floor is dedicated to a master suite. There’s a large bedroom with a wall of glass that lets in light from the skylight in the stairwell, but it can also be closed off for privacy. The master bathroom has an air-jet tub, a walk-in steam shower and his-and-hers vanities. On the lower level, Mr. Beecher has created a recreation room, a fifth bedroom and a separate room for the house’s technology. The house’s security system allows Mr. Beecher to keep an eye on the property via his mobile phone. “If I’m in California, I say ‘did I put the garbage out?’ The camera pointed at the back gate shows him that he did. The backyard, which was just a lawn separated from the neighbours’ properties by chain-link fence, has now been landscaped with a patio and lawn. A garage provides parking for three cars. A garage door has been built in to provide access to the back garden for residents who want to bring in large pieces of furniture or garden supplies. The neighbourhood offers lots of good spots for brunch, ice cream or coffee, says Mr. Beecher, who often heads out on Sunday for a bicycle ride in High Park before heading to Roncesvalles for lunch. The third-floor master suite opens to a wooden deck that offers solitude at treetop level. Lounge furniture is grouped around a gas fireplace. Mr. Beecher says he likes to sit out there to relax on his own or when he has friends over in the evening.